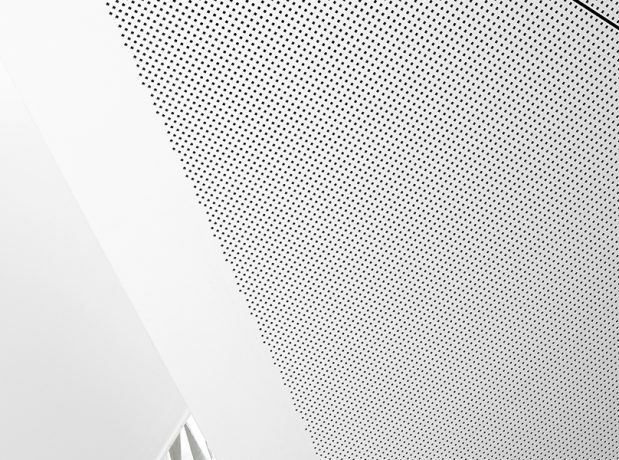 Rigitone Matrix 12mm Square (12/25Q) is part of the Potter Interior Systems Perforated Plasterboard range and one of the four edge to edge Rigitone patterns available. Rigitone boards were developed by worldwide plasterboard specialist, Saint-Gobain and are available in New Zealand through Potters’s International Alliance Program. These products feature innovative, VOC reducing Activ’Air technology to help improve indoor air quality. 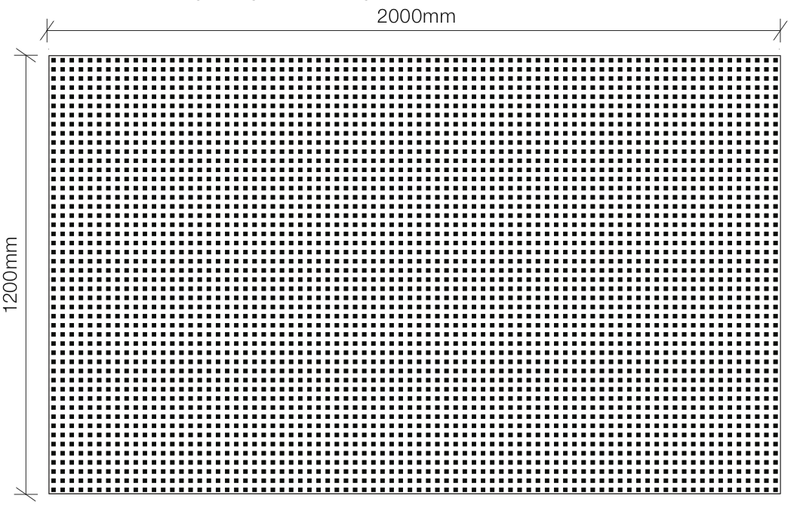 Rigitone Matrix 12mm Square is supplied as a 12.5mm thick sheet, 1200mm wide and 2000mm long. Rigitone Matrix 12mm Square features A pattern of 12mm square perforations spaced at 25mm centres, providing a 23% open area. 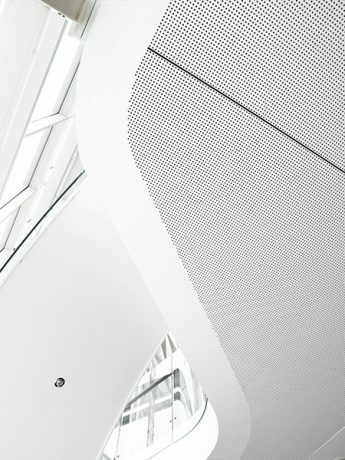 The panels are supplied with a white acoustic fabric backing that improves acoustic performance and eliminates dust from ceiling cavities.